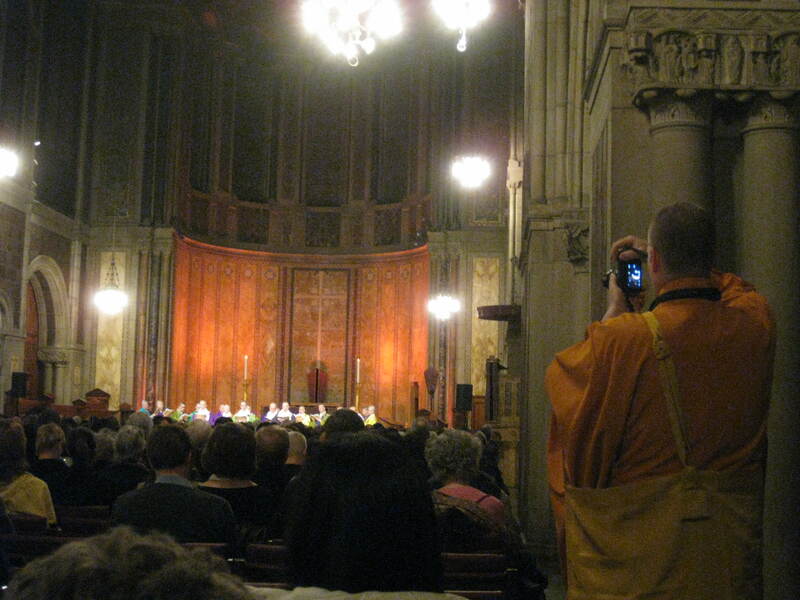 Last Thursday evening I went to the most interesting concert. One of the many things I love about St Barts is that they host a number of concerts throughout the year, aptly entitled the Great Music series, and this was one such occasion. The concert in question was a 75 minute piece of shomyo, Buddhist ritual chant, performed by the Japanese group Shomyo no Kai. 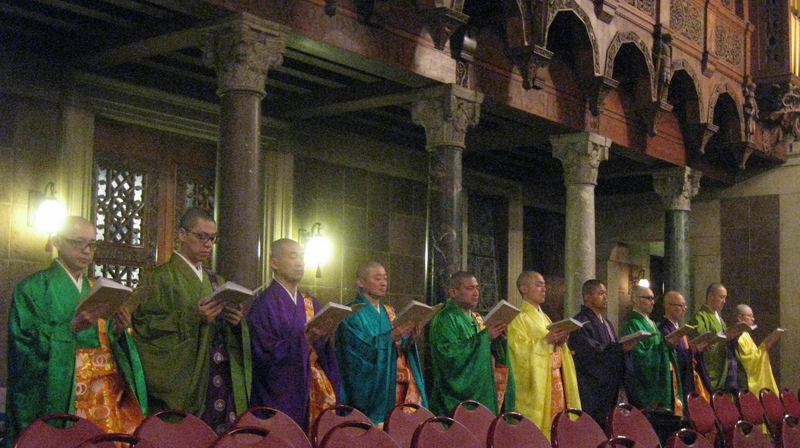 Their name translates as “voices of a thousand years”, which represents the ancient tradition of the music they perform, and the group is comprised of around 20 singers, priests from two different Japanese Buddhist sects. The piece they presented was Sonbou no Toki (Life in an Autumn). Composed by Ushio Torikai, it sets American poetry (translated into Japanese) to shomyo chant, and was written to commemorate the victims of 9/11. First performed in Nagano in October 2002, it has been sung several times in Japan since, but I think this might have been its New York premiere. The music is nothing like I’ve heard before, and I’m not at all sure how to describe it, other than to say it was variously quite mesmerising, intriguing and beautiful. This link should take you to a recording of the group on YouTube, so you can judge for yourself! 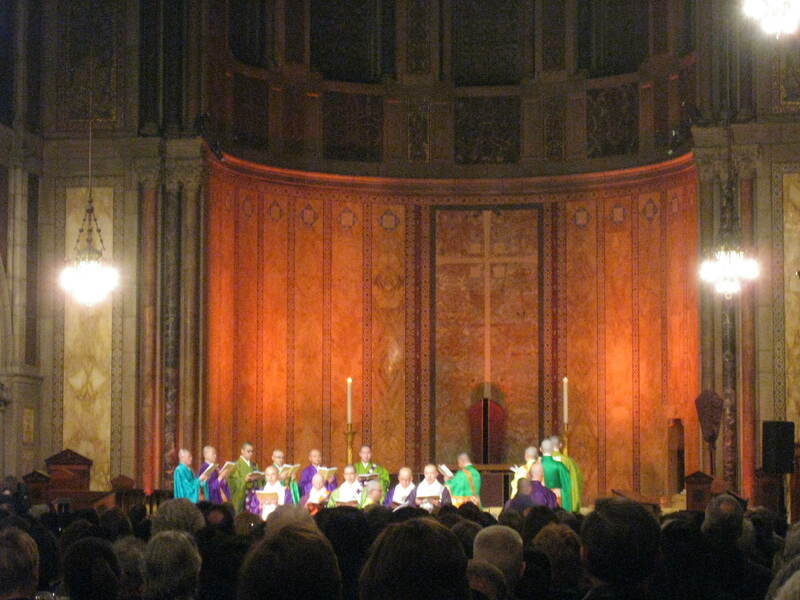 This entry was posted in Music and tagged Buddhist chant, St Bart's by Emma Davidson. Bookmark the permalink.